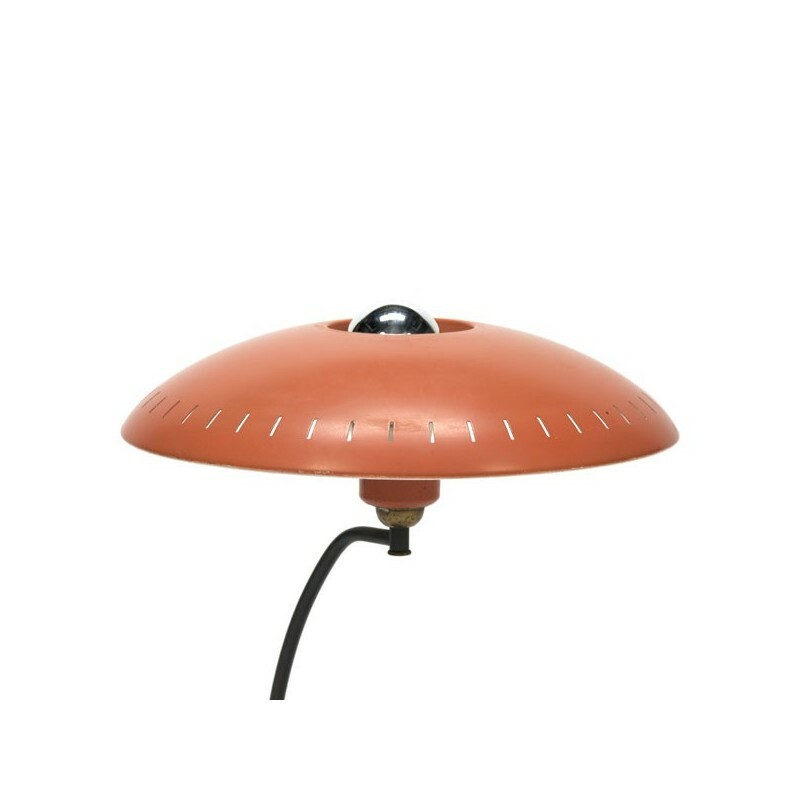 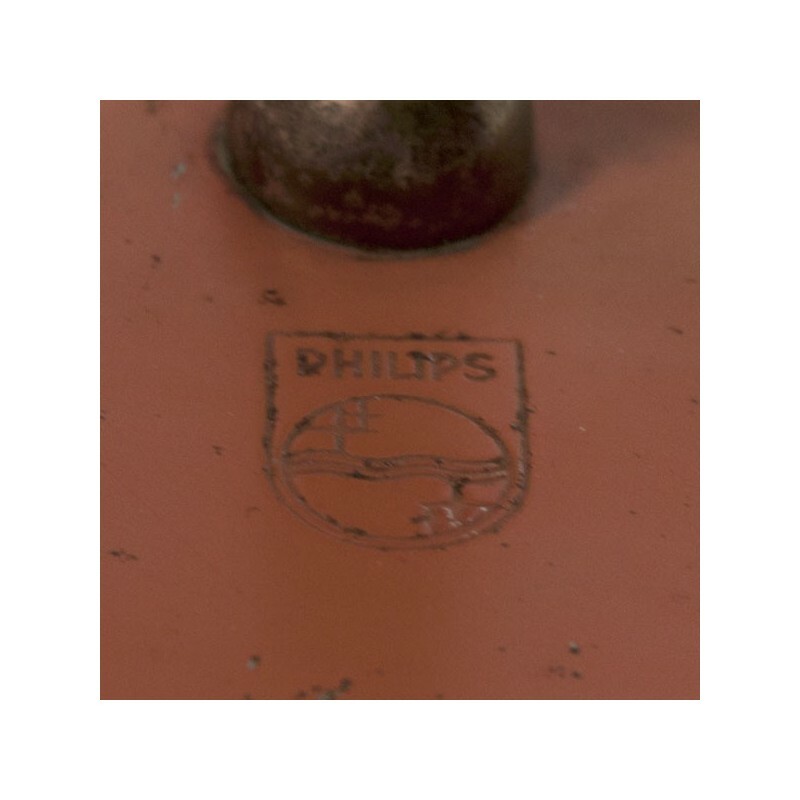 Vintage design table / desk lamp designed by Louis Kalff for Philips in the early sixties. 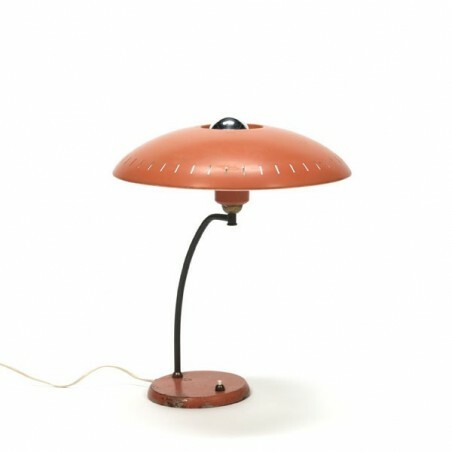 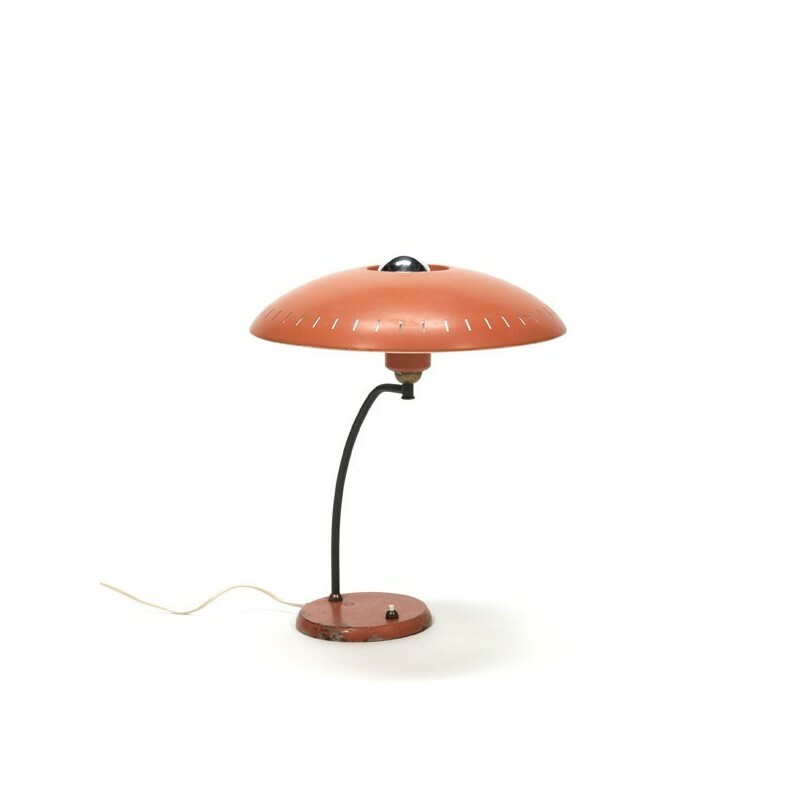 The lamp has a salmon-colored base and shade. 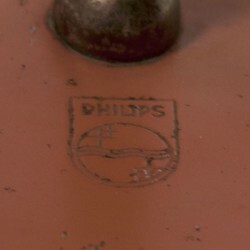 The condition is reasonable, the base is damaged by oxidation (see detailed pictures), the cap is in good condition. 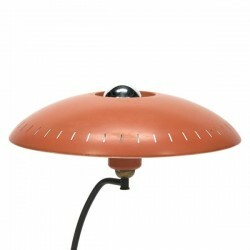 The size is 40 cm high and 33 cm in diameter.